The hardest part about moving from Portland to Montana...the food. 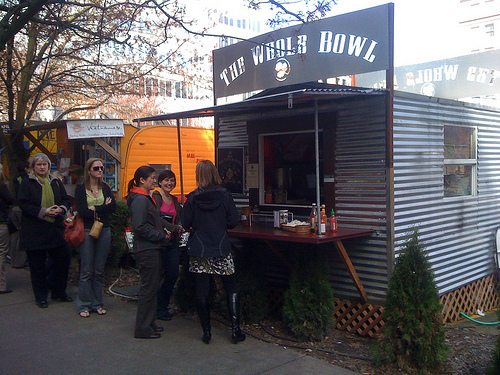 I miss all the amazing restaurants in PDX. One of my favorite was The Whole Bowl. It was perfect for a healthy and delicious lunch. They have two food cart locations and itty-bitty restaurants. Since I can't have their delicious bowls in MT, Joel and I have started created our very own sauce here (see below). It's definitely not perfect but it comes pretty close. So what's exactly in a Whole Bowl? 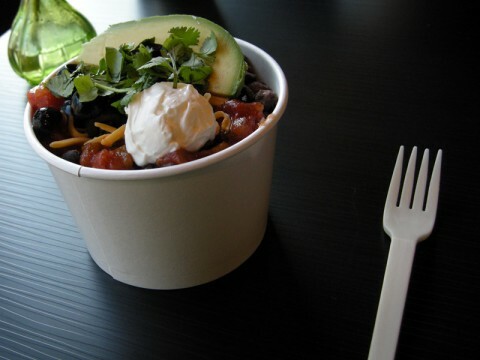 Well, the basic ingredients include rice, beans, black olives, cheese, avocado, cilantro, sour cream, salsa, and the sauce. The trick is nailing the sauce. We've also been throwing it into a tortilla with chicken and lettuce too. So check out the recipe below and give it a try. Enjoy.